When I was in college my major was in Fine Art and I had an emphasis in design and illustration. 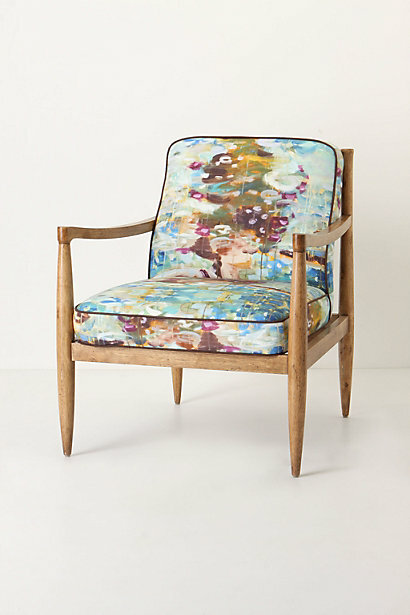 My favorite medium was watercolor and I’m so excited to see watercolor make a huge resurgence back into popularity this year in fashion, fabrics, and home decor. 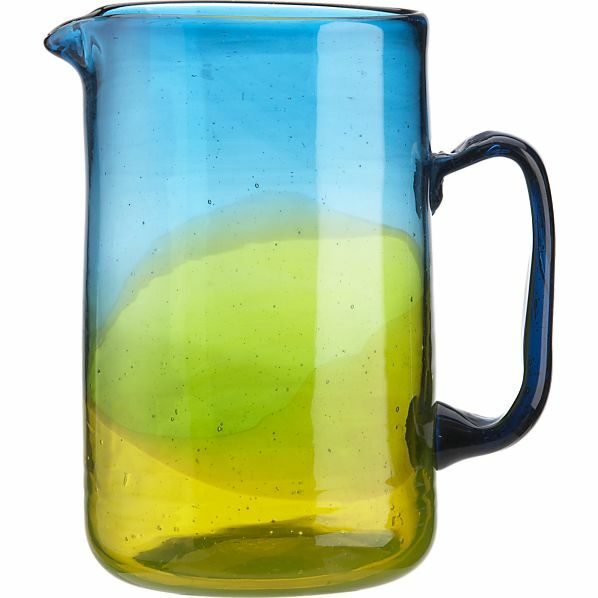 You can easily paint your home in liquid pools of translucent and saturated color. If you love the popular ombre movement or prefer a more classical painterly look, you will love these water color inspired accessories! 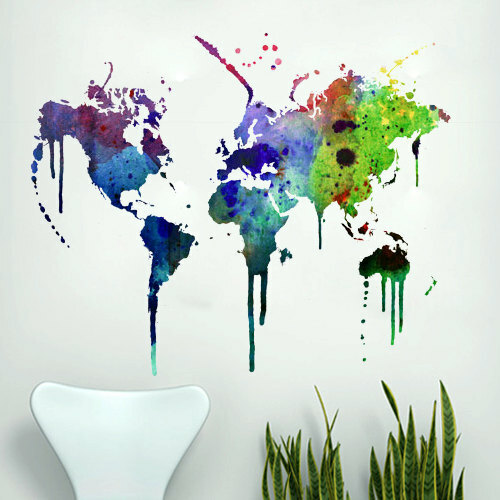 Splash vibrant color on your walls or any flat surface with a watercolor world map decal sticker. Choosing a lamp for a room should be like choosing a piece of jewelry for your outfit. 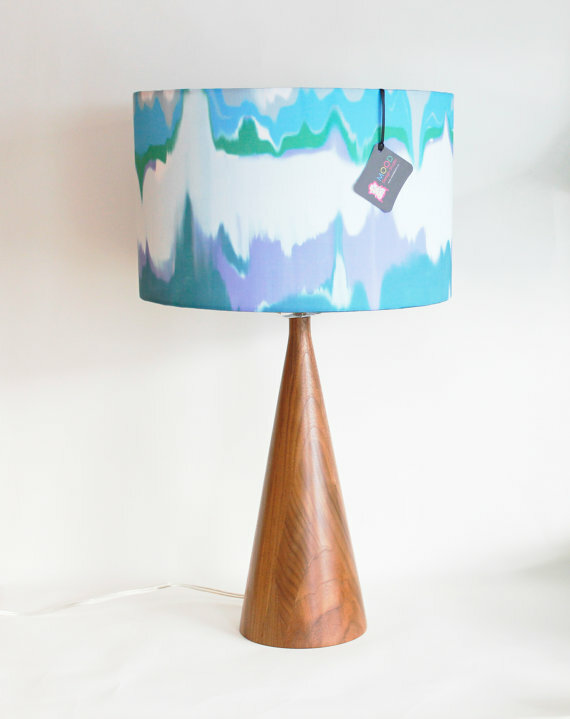 This lamp is modern and sculptural, yet the watercolor shade softens the bold form. 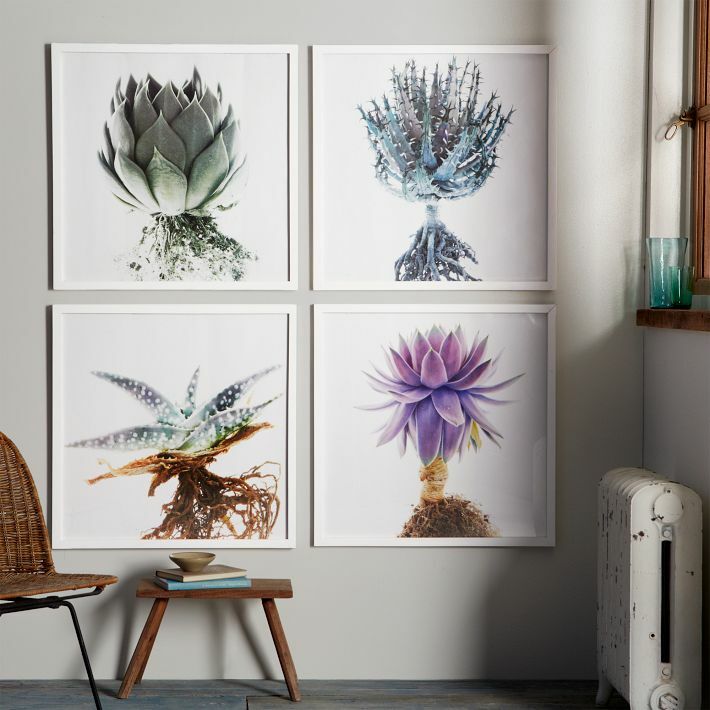 Succulent gardening is a fun new favorite hobby of mine, and these beautiful botanical prints by Clinton Friedman capture the vast colors and textures of the plants. 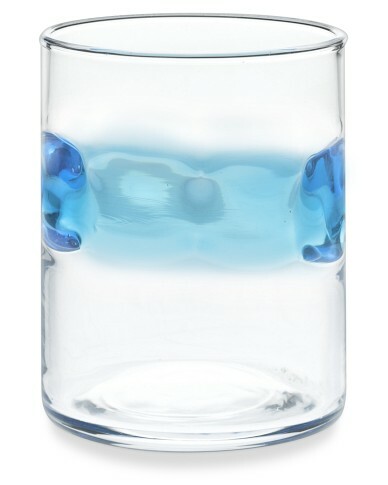 Add a splash of the sea with these textural and translucent sea glass–inspired glasses. Each piece is mouth-blown by master glass blowers. 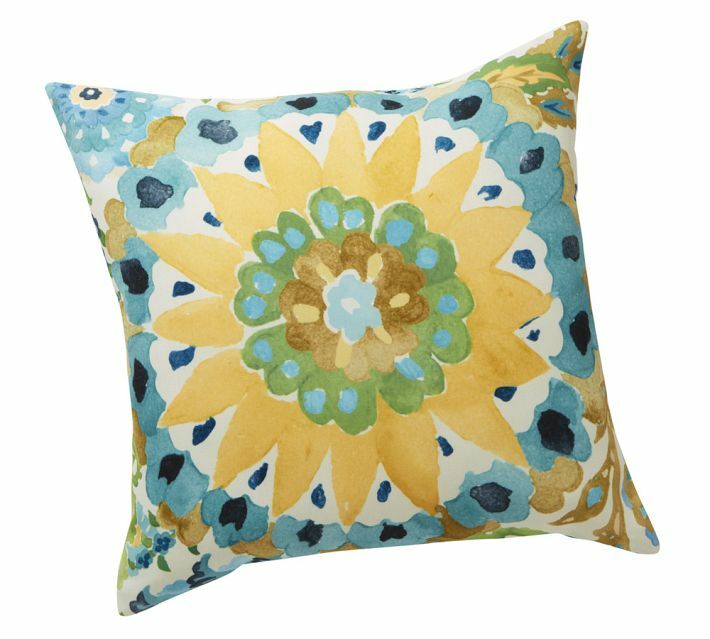 This cheerful sunny yellow and ocean blue Malena pillow makes me long for summer! Can’t you just picture basking in the sun on it and your poolside chaise lounge? What a statement piece this would be! I love the clean and simple lines paired with the Monet-inspired watery dreamscape. 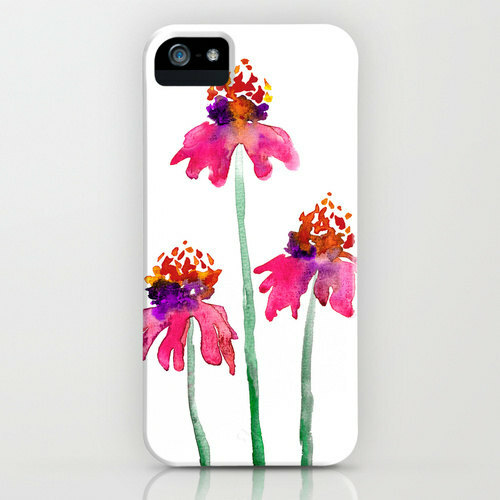 Welcome spring with this feminine and vibrant echinacea iPhone 5 case. We girls change our cases with the season (or outfit), you know! 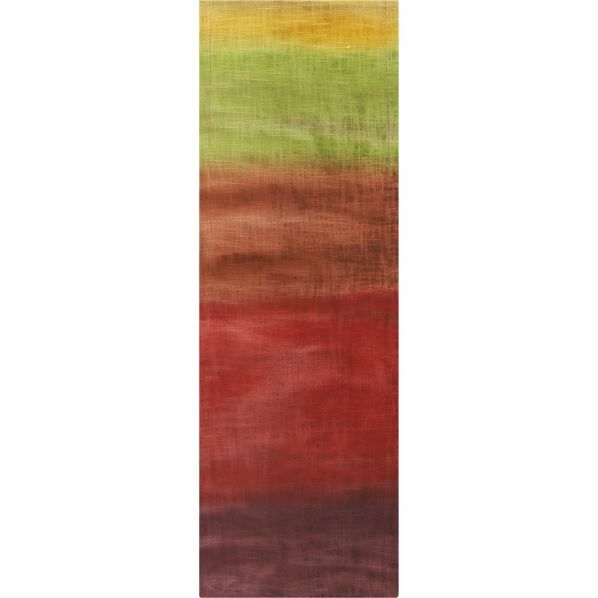 This hand-painted table runner made of textured cotton reminds me of a sultry summer sunset. 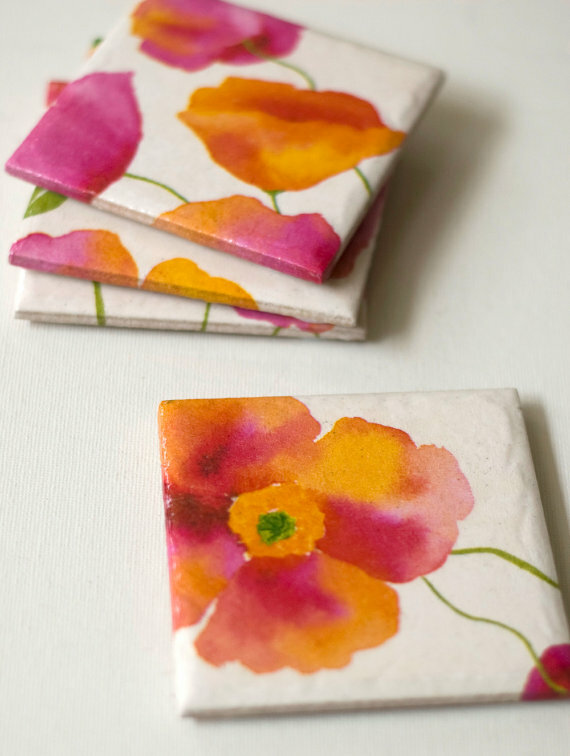 This pretty illustrated poppy coaster set would be a perfect little gift, especially for Mother’s Day. Watercolor is here to stay for 2013 and beyond. 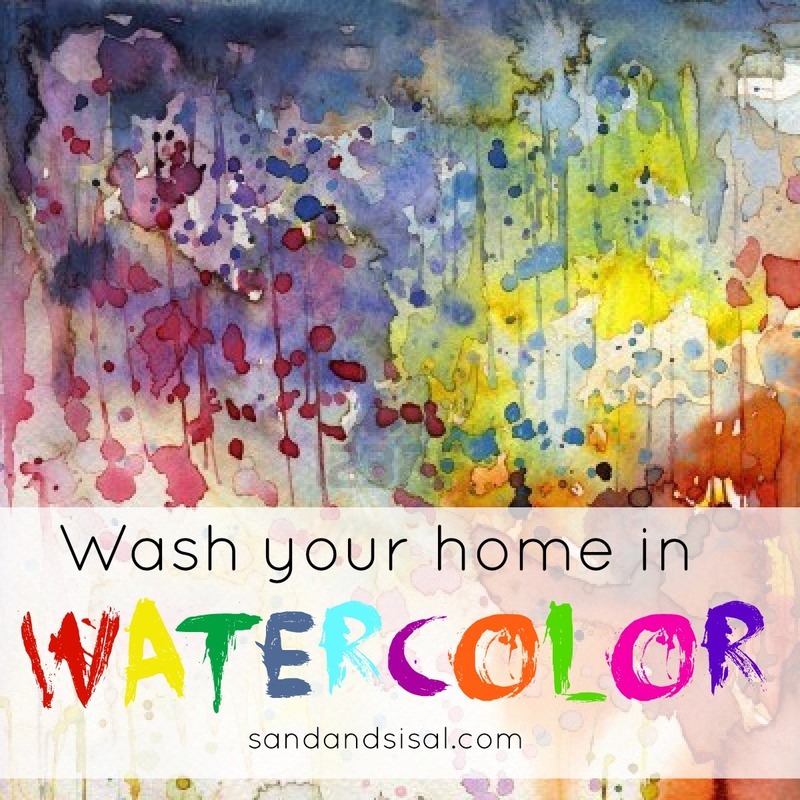 As the surge of beautiful watery and feminine florals and colors emerge in fashion and home decor, be sure to add a drop of two of watercolor accessories into your home! We have a dog portrait in watercolor/acrylic and a Venice in oils. Great stuff! 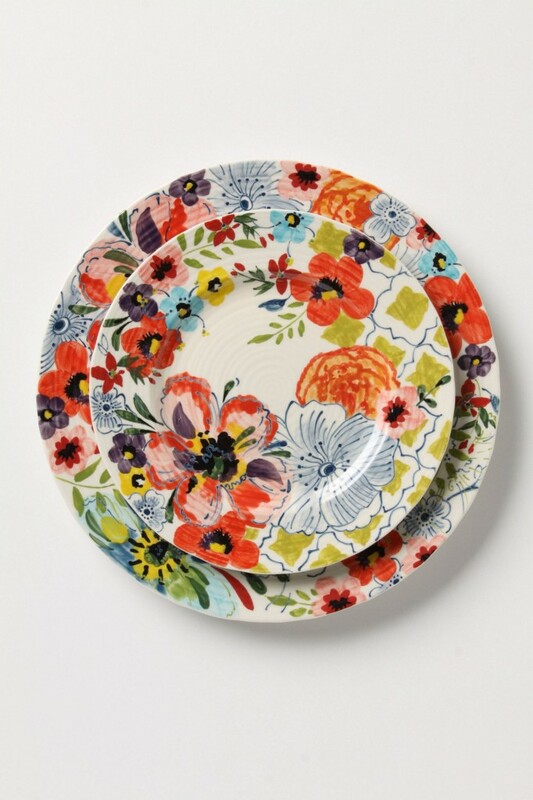 Ooooh, so any pretty pieces! Really love the lamp shade and the map wall decals. And that chair is pretty fabulous! I love watercolor and it used to be a favorite medium of mine also. I haven’t used it in awhile. Maybe I should get them out again! I love watercolor! I love that lamp and that pillow from pottery barn. 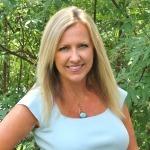 Thanks so much for sharing such beauty! I have some watercolor items in my Etsy shop like my art tags, artist trading cards, paintings etc. I love the vibrancy and sheerness of watercolor. So much inspiration! I love every single thing you found, thanks for sharing! Thanks for the heads up! I’ll fix it right away!